I have not completed this game. It’s not very often I’ll happily admit that about any game I’m reviewing, but with N++ I’m happy to shed light on that fact. I have not completed this game and this is something that bodes extremely well for it. 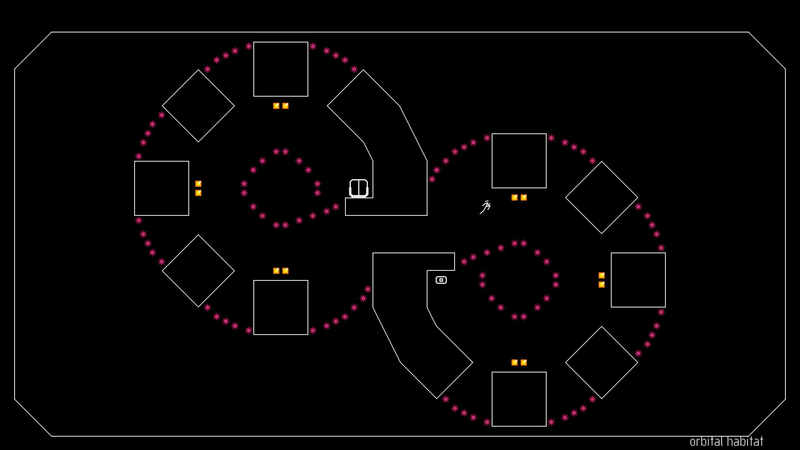 N++ is a video game you’ve more than likely seen before in more than one form. Originally starting as a free browser based game that ended up becoming a relatively popular hit, then being remade as N+ for XBOX 360, DS and PSP consoles, the developers have arrived at what seems to be the final version of their cult hit game that has almost perfect their formula they set out on creating over 10 years ago. 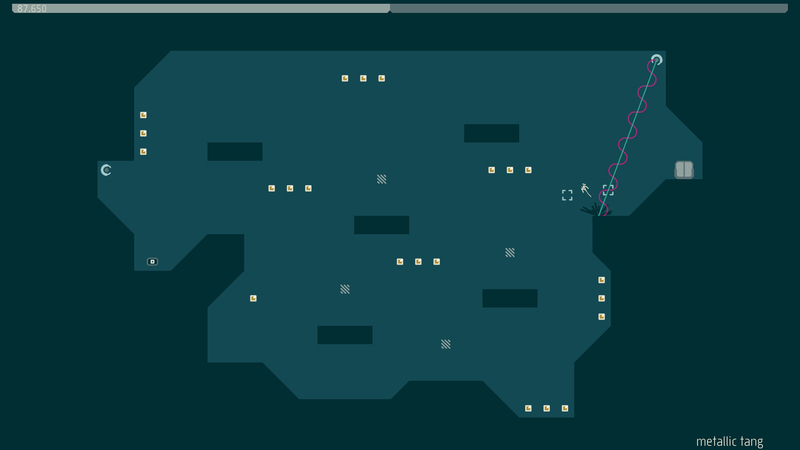 There’s an amazing flow of simplicity to the design and gameplay of N++. There’s a snippet of a premise here, not that it’s really needed. You’re a ninja, and you need to traverse rooms crammed with traps with as much gold as you can grab. Or to put it even simpler, move your stickman, grab the yellow shiny squares, go to the exit. And as bare bones as that may sound, the game is insanely addictive in it’s execution, again down to it’s design and gameplay. Each area you enter is divided up into 5 levels, each taking up a single screen. While this may seem small, and in fact plenty are, the amount of threats ready to dispose you in a millisecond is where the challenge and fun is conjured in the game. It’s the type of thrill many classic platformers offer with the annoyingly delicious, “Just one more try,” sense of urgency to every stage, despite one more try turning into 75, turning into 175, turning into insomnia and exhaustion in the next because of that just one more try. The game also accommodates for this and makes sure to give you an almost instant response to retrying, dropping you back in the same position awaiting your next mashing of, ‘X’ to play again. Everything is catered towards a smooth, exhilarating and zen like experience. 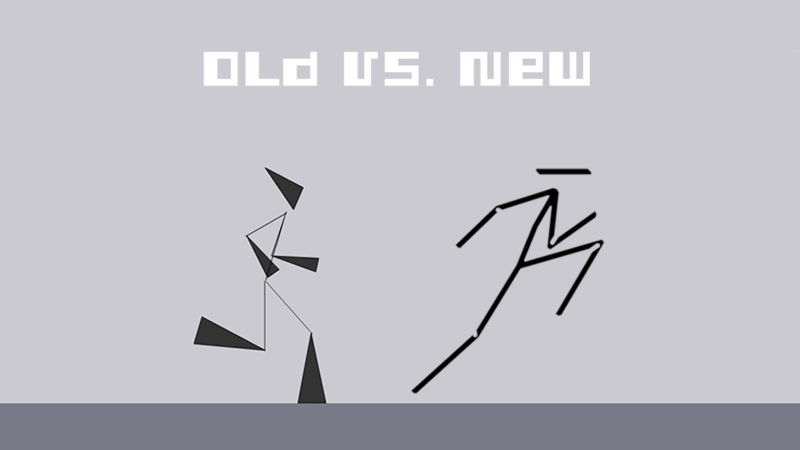 Like any good game, the levels and their clever, sometimes funny titles teach you how to play the game and the various different components to the core of being a floaty jumping ninja, preparing you for the real challenge of the game ahead. However, even the so called tutorial stages are incredibly enjoyable and varied, introducing newer and harder elements the more you progress, and so many stages that despite only stracthing the service of whats available (over 2000 levels) you’ll feel like you’re a pro by the end of them. A pro at jumping, sliding, climbing and not dying to be exact. Presentation has also gotten quite the lovely face lift since N reared it’s grey monochromatic face way back in 2004. While still keeping inline with the minimalistic style, the addition of new colour palettes, sleeker Ninja and enemy designs and a crisp interface help to spice up the package and give it a new sense of brevity. As well as that, a brand new, seamlessly integrated soundtrack consisting of a dark brooding mix of mellow trance, eclectic trip-hop and electronica infused music, gives way to a sense of euphoria with the game. As you grind away attempting to beat a course, electric beats and sounds echoing in your head, you’ll find yourself adapting to the rhythm and flow the game provides, creating a delirious sense of momentum and serenity amongst the drastic sense of urgency and chaos of the world trying to take you down. It’s a feeling you’ll slot into the more you play and complements the experience excellently in keeping you moving forward and ever reaching towards the goal of completion, a goal I have yet to achieve in it’s huge array of wonderfully crafted levels. 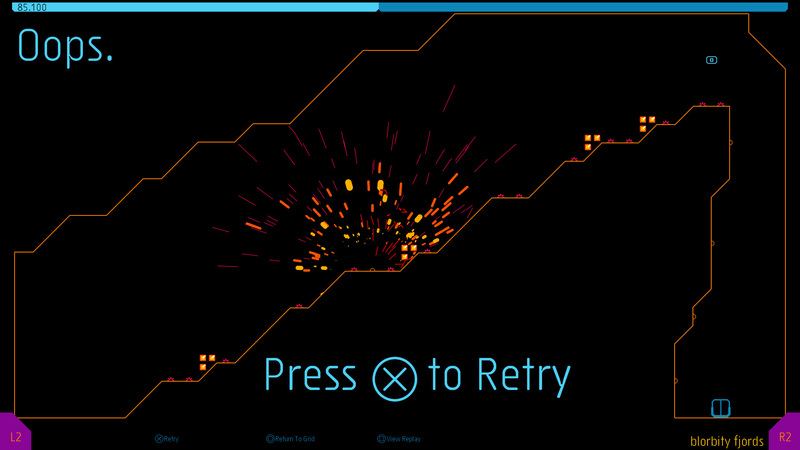 With the addition of multiplayer, a level creator and online leaderboards, N++ in it’s final iteration has finally become the perfect package it has been aiming for over the span of 10 years. Easily one of the best platforming games available right now, it’s actually quite admirable seeing what the developers Metanet software have been able to achieve. At €20, I definitely recommend this game to anyone looking for a fun indie title to bring in the autumn months an infuriating brilliant time completing.